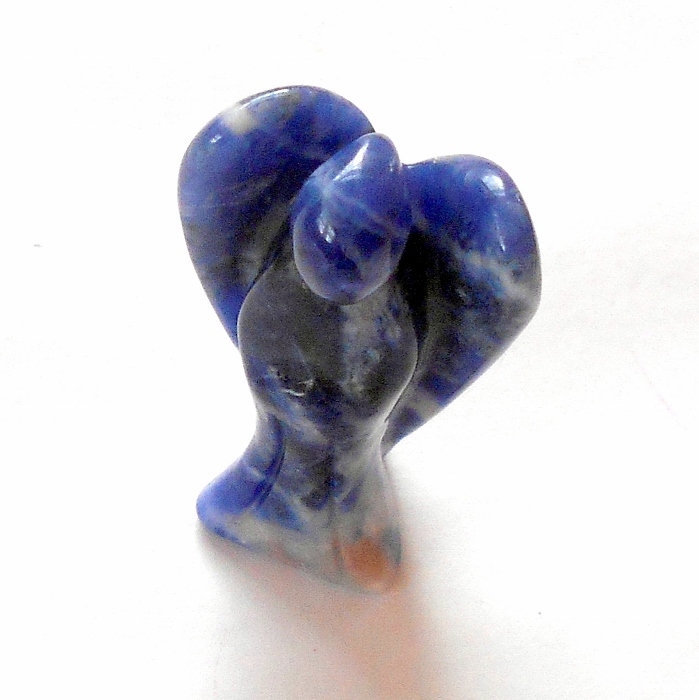 Blue sodalite gemstone carved pocket angel. Sodalite is a gemstone of logic, rationality, and efficiency associated with the brow chakra. 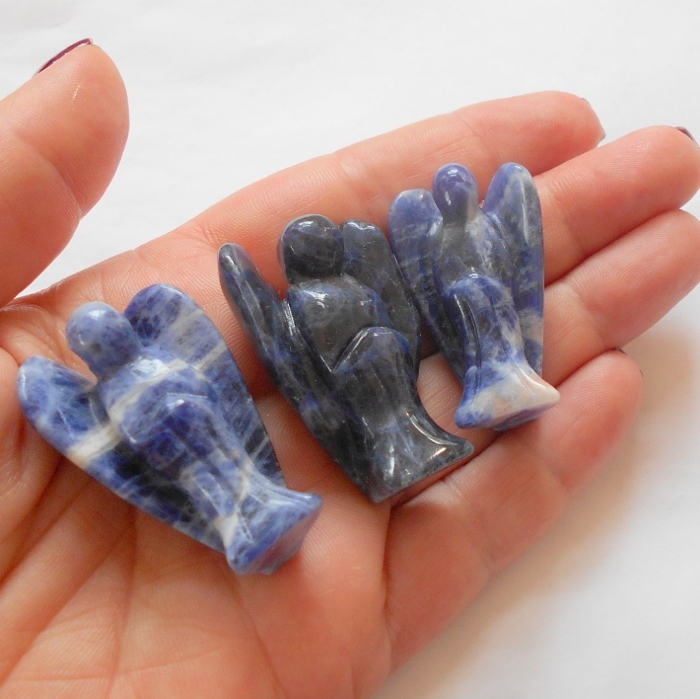 Sodalite stimulates thought and brings truth to communication. It can help end arguments and disagreements while encouraging honesty of emotions. Physically, sodalite is useful for the digestive system, healing colds, relieving insomnia, and decreasing calcium deficiencies. 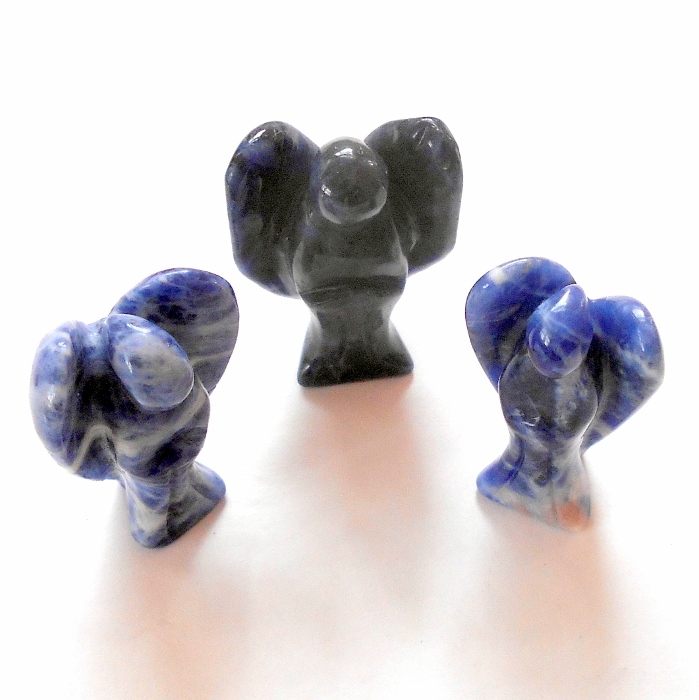 Sodalite angels are 1 1/2 inch by 1 inch. Price is for one angel. Each has natural color variation.